From July 16-19, Pemberton Music Festival took over the town! Festival-goers came from all over Canada and even the States to join in on the 4 days of fun in our hometown. During setup and throughout the festival, Huka Entertainment of course needed fuels and oils to keep them moving! 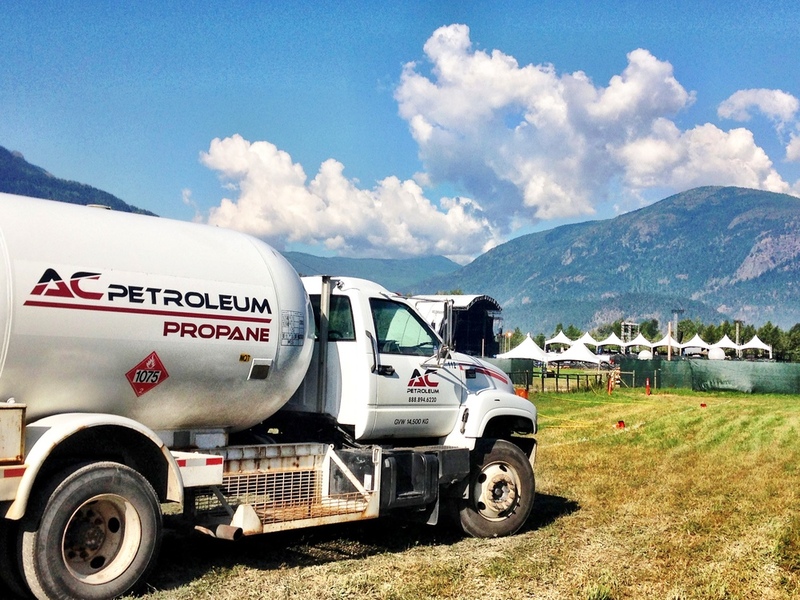 AC Petroleum was proud to deliver both gas and diesel to the festival site for their onsite vehicles and generators, as well as propane for the shower trailers, festival staff catering trucks, and all of the wonderful vendors! The Pemberton Festival staff also visited our cardlock in the Industrial Park to fuel up their vehicles, and purchase various oils and lubes for their machinery. Photo courtesy of Tourism Pemberton. If you require fuel, oil, or propane services for an event, AC Petroleum can accommodate! Visit our contact page to reach our Sales & Customer Service Representative. Posted on July 24, 2015 by AC Petroleum and filed under Events and tagged pemberton pemberton music festival festival ac petroleum propane fuel fuel delivery event local huka entertainment. Keep an eye out for upcoming posts! Jan 5, 2017 Whistler Cardlock Now Open! Feb 9, 2016 We Are Hiring! May 9, 2015 Industrial Park Open House!